An Aboriginal woman from Brisbane found this shocking letter on her windshield after a fellow motorist hit her car. IF YOU accidentally scratch or bump someone's car, it's common courtesy to leave a note with your contact details so the owner can follow it up. 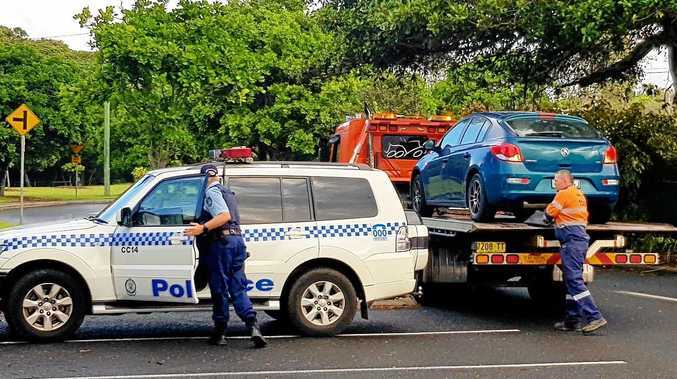 But an Aboriginal woman from Brisbane received a shocking letter from a driver who hit her vehicle. A photo of the handwritten note was posted to Twitter yesterday afternoon, sparking a flurry of angry responses. 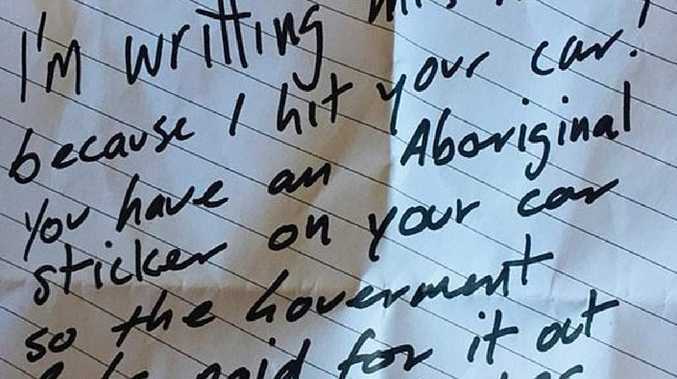 In the note, the driver acknowledges hitting the woman's car, before adding: "You have an Aboriginal sticker on your car so the government probs paid for it out of my taxes. Happy Australia Day. I'm not sorry as well." The note has no name or contact information, but is signed "2019 One Nation". Another user, who posted the note to Imgur, said the woman whose car was hit was their grandmother. There'd be CCTV footage. And Chermside has number plate recognition at entrance and exit. Hope they catch them! "My Grandma has terminal cancer and this was left on her car today near Chermside Shopping Centre complex," they said. "She's worked all her life and adopted kids from all cultures. This actually upsets me extremely as well as angers me. "She's a proud Anangu Pitjantjatjara Yankunytjatjara woman and ashamed this treatment is still happening to her even after being part of the Stolen Generation." People had a furious response to the note, with some calling for the owner to contact Chermside Shopping Centre and request the CCTV footage outside the complex.